From five star hotels to guest houses, there are various different types of accommodation in Seoul, all of which are unique in terms of their quality of service, facilities and rates. There are many excellent world-class hotels in Seoul, offering first-class business facilities, restaurants, lounges, fitness centers and banquet halls. 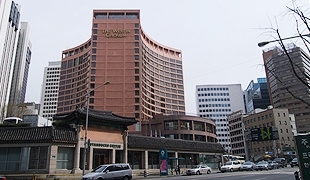 Five-star Hotels:JW Marriott Hotel Seoul, Grand InterContinental Seoul Parnas, Renaissance Seoul Hotel, Millennium Seoul Hilton, Lotte Hotel Seoul, COEX InterContinental Seoul, Grand Hyatt Seoul, Ritz Carlton Seoul, The Plaza Hotel Seoul, The Shilla Seoul, Sheraton Grande Walkerhill and The Westin Chosun Seoul. Benikea is Korea’s first mid-to-low range hotel chain supervised by the Korea Tourism Organization. 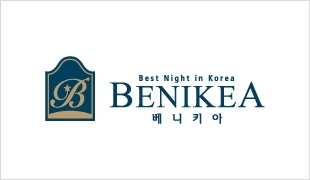 The appellation “Benikea” derives from the first syllables of “Best Night in Korea,” boldly proclaiming its status as Korea’s most widely recognized tourist hotel. There is a wide range of hotels to choose from, whether you are looking for a place with good transportation, a pleasant downtown location, a place to sleep near the airport, and much more. Goodstay-approved hotels are quality accommodation facilities designated by the Ministry of Culture, Sports and Tourism and the Korea Tourism Organization implied to develop low and medium range hotels of good quality in Korea. Guest houses are a great choice for travelers seeking an inexpensive place to stay. The rooms come in dormitory type. The shower and kitchen area are shared with the other guests. 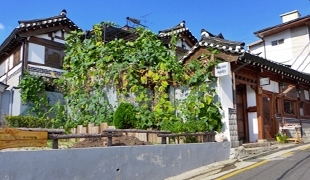 Staying at a guest house is not only reasonably priced, but a great way to experience Korea.